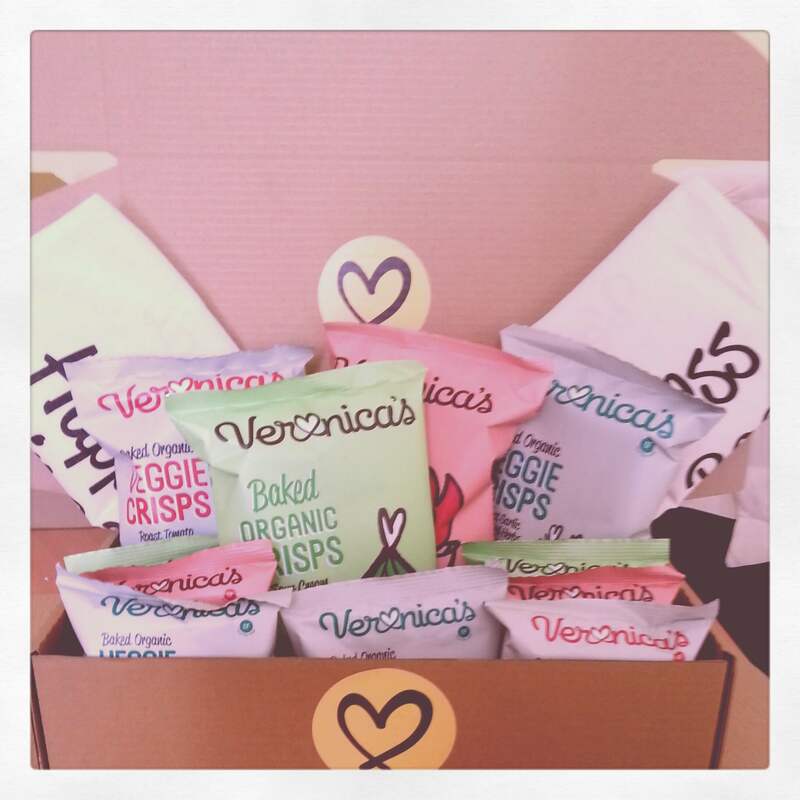 Veronica recently sent me a selection of their baked organic snacks so that the kids and I could try them out. She has also provided me with a hamper of her treats for one lucky reader.Some days I feel like I’m shouting into an empty room about the dangers of high salt in children’s diets. Then there are days when I discover that I’m not the only person concerned about this issue. In fact somebody has put their convictions to the test and come up with a snack in a bag that’s lower in salt than regular crisps. I feel like doing a little dance. When Veronica sent me a well presented box of her snacks to try I really didn’t know what to expect. I tend to go shopping with great purpose, sticking to my list, not deviating from the list and keeping the budget on track. Nowadays more than ever. So I hadn’t spotted that the snacks in stock in any of my usual haunts like Tesco, SuperValu or Dunnes. I did go to take a lovely photograph but the 4 year old was already rifling through the box. If potato crisps are your thing then you can choose from Sour Cream, Herb & Onion or Spicy Barbeque. Of if you fancy something a little different then you can try the Veggie Crisps in the range, and be faced with a snazzy selection of colours to choose from when you open the bag. This was a hit with the 4 year old. Once he discovered he could eat “rainbow crisps” he wasn’t interested in the potato variety anymore. There are a long list of reasons why these snacks are going to be so popular, including no cholesterol, no trans-fats, no wheat, no GMO, suitable for vegetarians and coeliacs, organic and low in salt. Once some of the salt is removed from a bag of crisps it can be hard to get the flavour balance right but Veronica has it spot on as far as I’m concerned. I do have to say though that because the crisps are reconstituted and baked, it does make for a dry feeling in the mouth, you will need a drink to hand at the same time. Would I buy these snacks? Yes I would. The comparable organic snacks for kids that are on the market already are within the same price range, have in and around the same nutritional value but crucially do not come from an Irish company. They also don’t taste half as nice as Veronica’s Snacks and are not all gluten free. Don’t just take my word for it, see how The Daily Spud got on with a taste test recently by clicking here. Veronica has kindly provided the prize of a hamper of her snacks for me to give away to 1 lucky fan of the blog. So to enter, you will need to visit my Facebook Page by clicking here or by navigating to the Facebook section to the right hand side of the blog. Make sure that you’re a fan, then select the tab marked “Win A Hamper From Veronica’s Snacks”. There are a few T&C that you will need to read, then simply pop in your name and email address. It’s that simple. Disclosure: Veronica’s Snacks provided me with a number of samples in order to give my review, along with a hamper to give as a prize to my blog readers. My opinions are my own and I am not paid to give them. I wonder are they like these C?